Beware: If you build this shed, your neighbors are going to think that you’re a master carpenter. This is the type of shed that you build, if you want other people to ask you to build their sheds. The Classic Wood Saltbox Shed is not a snap together shed. 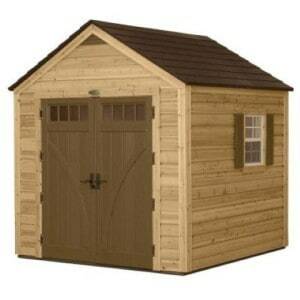 It is a quality built shed, made from quality materials. The manufacturer ‘Little Cottage Co.’ is situated in Amish country, so they have shed building credentials. To assemble the shed, you must have some ability to use power tools like drills, screw drivers, and a hammer. Although it is simple enough for a standard DIYer’s to put it together. Instructions are provided but if you get into trouble, you can get in contact with the manufacturer. The shed comes with Smartside siding that has a 50 year replacement warranty. The kit comes with fasteners, swivel door latch and windows. The windows are not preinstall so you will need to follow the directions to install them. When you get your shed it comes ready to paint, but without shingles, drip edge (aka flashing) or a floor kit. You can buy these from the manufacturer, or from a local source. The shed will sit happily on a wood frame, or a concrete slab. The Classic Wood Saltbox Shed makes an excellent storage unit, at a reasonable price. 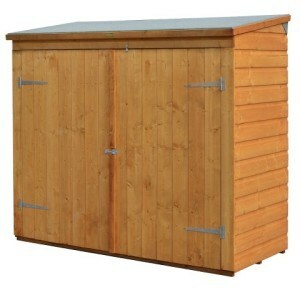 This handsome storage shed that protects your garden equipment from the elements, at a great price. 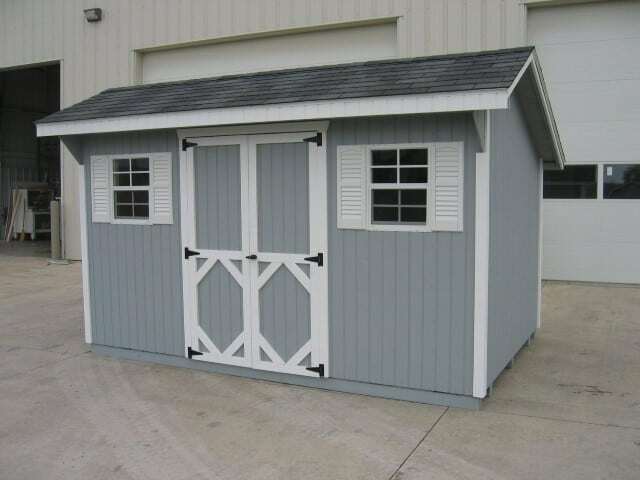 This shed offers the best of both worlds, its easy to assemble while being strong and good looking. Keeping your yard tidy has never looked smarter. 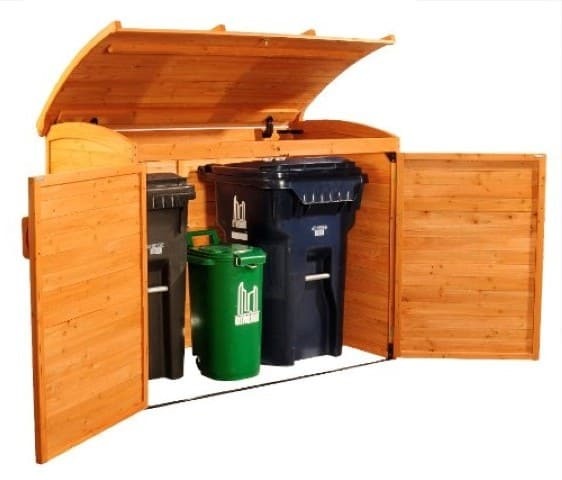 Originally designed for bins, this shed is also a good size for bikes, or a washer dryer combo.